Is there anything quite so creepy as a church that's haunted? Places of worship they might be, but Britain's churches are often more haunted than castles and mansions. Neither do the ghosts seem to mind that some of the edifices to devotion are now, nothing more than ruins. Although many of the hauntings might be residual energy - a simple recording of past events - are spirits perhaps visiting the places that brought them comfort in life? If any place can bring comfort then a place of worship that gave them solace in physical life could be the reason for some of the hauntings at least. However, whatever causes paranormal activity in these churches, they produce some of the best paranormal activity to be found anywhere. 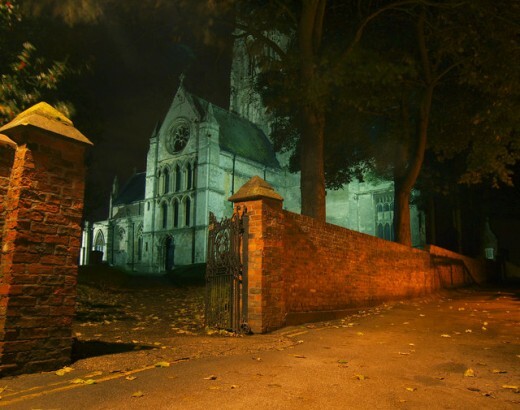 England's capital has no shortage of haunted hot spots, including the churches. One of the most interesting is St. Magnus's in Lower Thames Street. Built by Christopher Wren after the Great Fire of London in 1666, the church stands over the foundations of an earlier building on or near the site dating back to 1234. 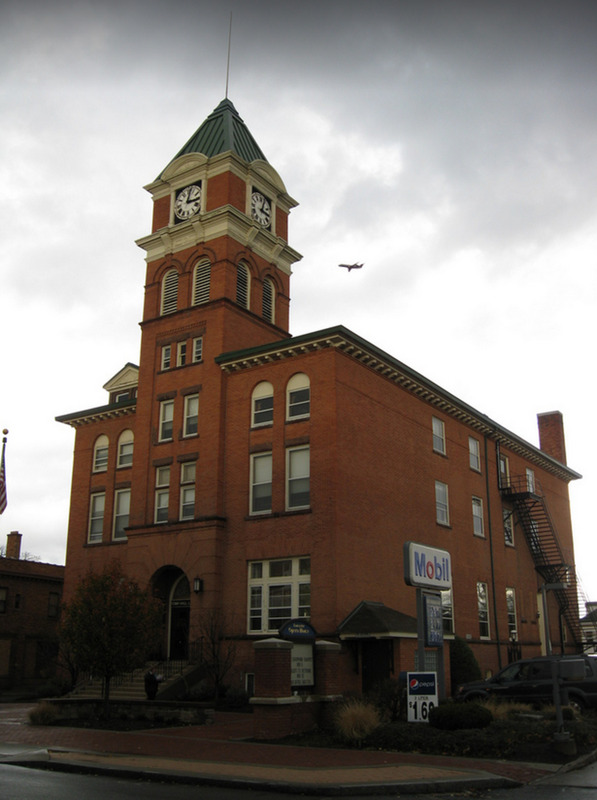 There are reports of various paranormal events here. One of the most frequent is an overwhelming feeling of sadness when near the tomb of Miles Coverdale. He was responsible for producing the first Bible in English. Coverdale was also Rector of St. Magnus, later becoming Bishop of Exeter. Michael Coverdale died in 1535 and is buried in the southeast corner of the church. When approaching his tomb many visitors have reported an unexplicable and sudden change in their emotions - usually described as an overwhelming sense of depression. This peculiar effect usually wears off after a few minutes of leaving the area. This could of course be due to high EMF(electro magnetic frequeny) emissions, but there is other phenomena present in the church. It's also curious that visitors feel exactly the same emotion on different days and at different times. Another frequent encounter at the church is a startling ghost who appears suddenly. The descriptions of this man are always the same - he wears a cowl on top of a serge cassock and has very black hair. This spirit has been seen not only by church workers, but also rectors and their wives. One of the creepiest encounters happened to a church worker - Miss Frew. She had been sitting in the church working on some embroidery. On looking up she saw the cowled figure standing facing her. However on looking into the cowl for a face she was horrified that only a black void was present. She ran from the church terrified and reported what she had seen to the rector. St. Nicholas's Church is said to be haunted by the daughters of Oliver Cromwell. He was Lord Protector of England from 1653 to 1658. After he died - from septicaemia - in September 1658, he was buried within Westiminster Abbey. However his final resting place is believed to be St Nicholas's Church. His remains were exhumed from Westminster Abbey on the orders of King Charles II when the monarchy was restored. The body was then beheaded and hung in chains. Afterwards it is said that the body was thrown into a pit and his head displayed on a pole outside Westminster Hall. His head was not removed until 1684 where it was buried at Sidney Sussex College, Cambridge - the same college that Cromwell had attended as a young man. 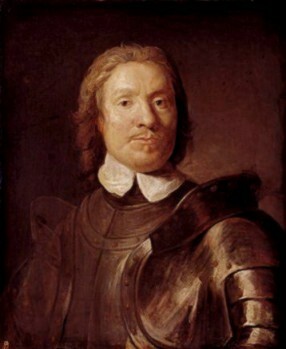 There is a story that Cromwell's daughters - Mary and Frances - did a deal with one of the guards who was on duty where their father's body was hung. They were able to sneak the body away under cover of night where it was hidden in the family crypt at St. Nicholas's Church. During reconstruction of the church in 1882 the Vicar is alleged to have found the body of Cromwell. However, fearing that his church would be a beacon for the curious he sealed the coffin up behind a wall and it has never been seen again. Cromwell's daughters Mary and Frances have been seen around the church and the graveyard. The figures when seen, are white in colour, moving silently from the graveyard and entering the church through the stone walls. There has been speculation why, if the ghosts are indeed Cromwell's daughters, they should be haunting. Do they continue to protect their father's remains? What type of location would you choose to carry out a ghost hunt? The history, intrigue and drama that has happened over the centuries ensures that St. Andrews is not just famous for golf. 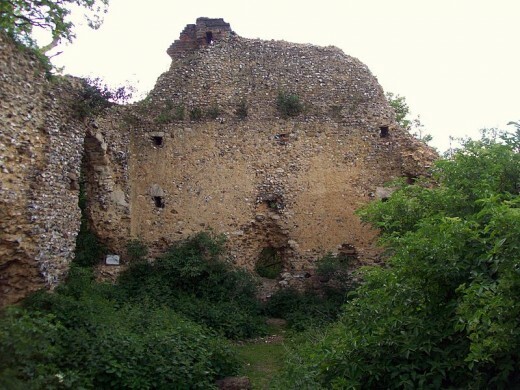 One of its most famous locations is the now ruinous Cathedral that has had a long and bloody history. Hardly surprising then that many local people and visitors claim the area is haunted. 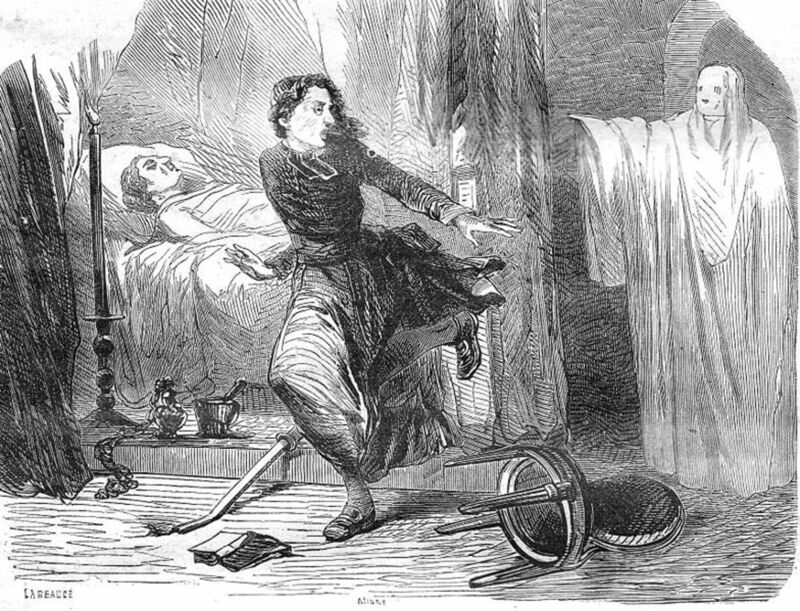 One of the most famous ghosts is the white lady. This apparition has been seen regularly over the last few hundred years. Some theories suggest that this was a young woman who was executed during the Protestant Reformation in the 16th Century. It is believed that she was only 21 years of age and was burned to death at the stake. Witnesses also report the smell of burning embers and hear the crackling of flames near the site where her execution took place. It is also alleged that this same apparition may also haunt one of the towers of the cathedral. 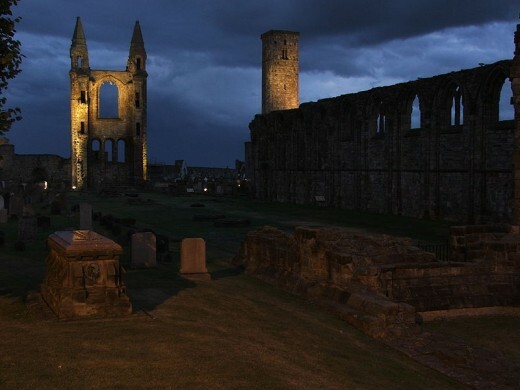 A couple reported seeing a female apparition near the tower of the Abbey Wall. The figure came towards them and seemed to be carrying a prayer book and wore a light coloured veil. The couple were astonished when the young woman vanished in front of them. There is another story relating to a white lady. 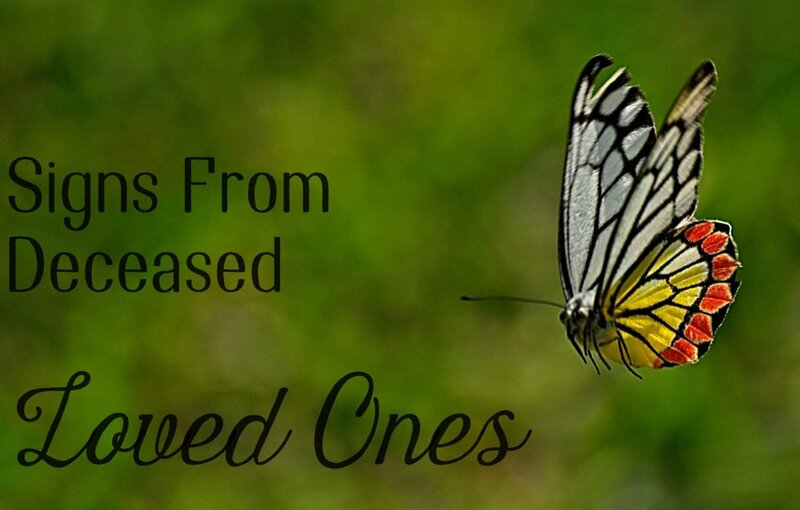 Whether they are two different spirits or only one manifesting in different ways is unclear. The story of this white lady - reported as being extremely beautiful - says that she haunts the grounds because her coffin was disturbed. Witnesses describe her as dressed in a long white dress, carrying a rosary in her hand. In addition many witnesses report that she wore white leather gloves. A story is told that in 1868 two stonemasons carrying out restoration at the cathedral broke through a sealed room and found a number of coffins. In one lay the body of a well preserved and beautiful young woman in white, wearing white leather gloves. Other researchers have speculated that the white lady might be one of a few apparitions that are seen near to the Abbey Wall that runs parallel to the footpath outside the cathedral. This is the site where plague victims were buried. The areas where plague buriels have taken place are well known for their strange lights and other manifestations. So whether the white lady is a victim of her religious beliefs, a plague victim or annoyed about her disturbed coffin, we might never know. A monk haunts a different area of the Cathedral, in St. Rule's Tower. The most startling incident occurred in the 1950s. A visitor was making his way up the stone spiral staircase and had reached about halfway. Suddenly he thought he was losing his balance and gripped the handrail to steady himself. He then looked up and was shocked to see a figure standing a few stairs further up. It was a man dressed in a cassock or robe. "Are you all right? May I offer you an arm?" The visitor found his voice and politely declined the offer, but thanked the robed figure before continuing on his way, nervously squeezing past the man on the narrow stairs. Interestingly it wasn't until later that he realised with shock, that he had felt no resistance or pressure at all when he passed the figure in the tiny area on the stairs. He made full enquires as to who had been in the tower with him but was assured that he was the only person present. 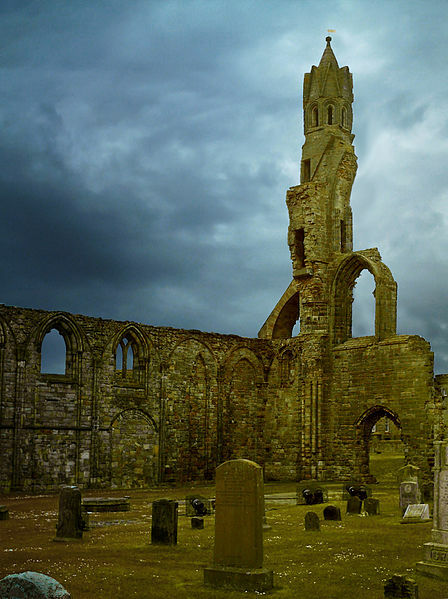 It seems the visitor had encountered the pleasant and helpful ghostly monk of St. Rule's Tower. Research carried out by William T Linskill, former Dean of Guild of St. Andrews, believed that the kindly spirit was that of Robert de Montrose a previous Prior of St. Andrews hundreds of years ago. While alive the Prior would frequently climb up the tower on moonlight nights to enjoy the view. This ancient ruin has been dated to the 14th century and went out of use as a place of worship in the 1700's. It is alleged that the chapel sits on top of what was once a hermit's cell. There are also alleged connections with this old chapel and the Knights Templar, whose headquarters at Temple Dinsley are nearby. His death in 1949 was weird. As he was talking to a close friend at the nearby Hitchin Railway Station, he placidly stepped out in front of the train drawing into the station - naturally he was killed instantly. However, he gave no indication of his intent to commit suicide or even that he was depressed. His grave is located below the undergrowth of his beloved ruins. Perhaps Reginald is now one of the spirits responsible for the supernatural events said to take place within the ruins. These events include the mysterious sound of bells and what has been described as clanking chains. Other witnesses have claimed to hear music around the ruins when there was no physical source for it. 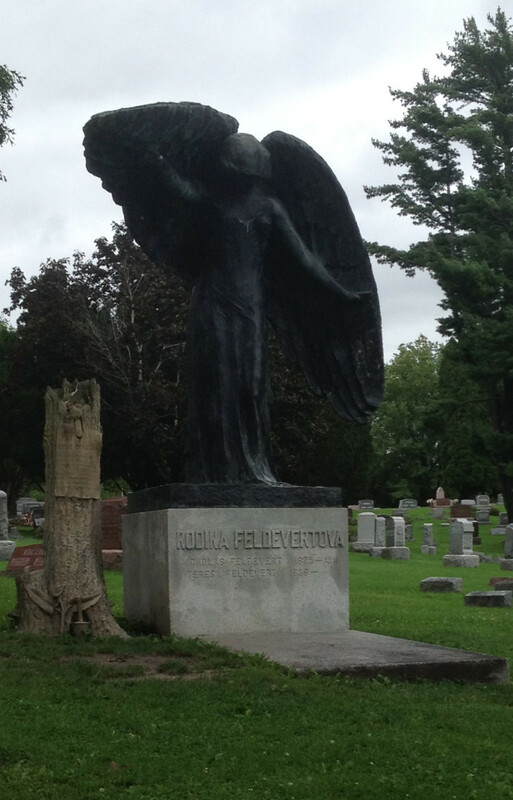 There is also the apparition of a woman - some sources say she was a nun - who was murdered near to the chapel. A glowing cross has also been reported as well as strange lights. Other apparitions witnessed at the ruins include a small spirit child as well as a ghostly Satanic coven. Animals also react very strangely at times when in the vicinity of the ruins. Observors have reported animals reacting nervously and aggressively towards areas of the ruins but nothing can be seen to cause this reaction. Dogs, cats and horses in particular are very sensitive to paranormal activity and may be picking up energies that humans can't sense. I hope you've enjoyed this tour of these haunted holy places and if you have any of your own stories to share then let me know in the comments section. Hi Peter, lovely to hear from you and glad that you enjoyed the hub. I have to say that I really enjoyed the research and the stories on this one, it made a very refreshing change from castles and mansions! And yes, I agree with you, churches do tend to be the most spooky, especially if you find yourself on your own! LOL! Thank you for a well written and researched article. Of all the haunted places I have visited I tend to find churches the most spooky. Hi Twlilight Lawns, well thank you so much for such a beautiful and uplifting comment! I don't think I've ever had an article of mine given such a glowing report - thank you, it really means a lot to me! What an amazingly well researched, collected and written article... so much more than a mere hub. This is one fof the most intelligent and interesting pieces I have read on any subject and am in awe of, not only the writing, but the wonderful choices of photographs. Hi unknown spy, many thanks for the visit and glad that you enjoyed the hub! Hi Unknown spy - lovely to hear from you again and glad that you liked the hub. There is something about churches that are haunted that definitely make them more spooky than big houses or castles!! Hi danial123 - glad that you enjoyed the spooky tour!! Thank you again ausmedus - your support and lovely comment are appreciated - best wishes! Hi Nell - many thanks for that! I guess that even in awards its politics and who you know that counts, not what you've contributed. But at least we can show our appreciation but sending this story around. Hi prasetio30 - lovely to hear fromo you and glad that you enjoyed the hub! It was great fun writing this as I find churches fascinating historically as well as paranormally!! 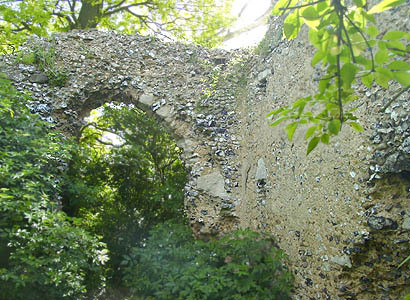 Hi, really spooky and fascinating stories, that Minsden chapel really give me the spooks just looking at it! I think the ghosts are a mixture of what people believe in, real ghosts, and maybe timeslips, but maybe there is another reason for them, maybe time and history happens all at once and we just see into their part at particular times, either way I wouldn't visit any of these on my own! lol! voted up! amazing! LOL!! Now the name 'Count Vincula' does have a nice ring to it! But really, what a gloomy name for a church! I think so many issues relating to the Civil War has such deep heartbreak - from both sides - that the spirits and energies will linger for a long time to come. I think that many of the areas where a lot of Civil War activity took place, must be some of the the most haunted sites in the USA and probably the world. I sympathise with your Mum - picking up on these sensations is distressing and very unpleasant. It can take you a while to shake them off as well. Vincula sounds as if it could an Italian vampire surname too Seeker lol. Great with the cctv footage on the figure dressed in Tudor garb, it does look eerie. And Seeker the Tower vibes remind of an incident me mother had at Andersonville National Historic Site last year. That's the Civil War prison where so many died. She's always been a sensitive to her surroundings since childhood and after 15 or 20 minutes there she became physically ill and had to leave! Hi Alastar, as always your insights and thoughts are just as awesome as the wondeful hubs that you write! LOL!! The 'Vincula Chapel' - yes. Do you know it took me weeks to get my mouth round those words when I first heard about it? One of my Christian friends told me that it's Latin for St. Peter 'in chains'. They should have just called it that instead of the Latin, but then it doesn't sound so spooky I guess. Now to my knowledge that cctv footage - if it's the same one I'm thinking off - is still a mystery. I've heard rumours of other 'good' footage from the tower about an iron gate getting shoved hard, but can't find it as yet. I agree with you about the feelings/sensations in the loathsome Tower! I visited there when I was thirteen with my school and it's fascinating. But the torture stories literally gave me nightmares for quite a while afterwards. The spirits don't have to linger, the residual energy would be enough to send any sensitive running out of the place hot foot! White ladies! I agree with you, that there history is nearly always of the saddest kind. Also, the way they often act makes me think that these poor ladies are earthbound rather than just residual energy. I hope one day they will find the peace they deserve. Once again many thanks Alastar for your thoughts - always compelling and fascinating!!! Oh my Seeker, this what you call a top-notch paranormal article; no wonder it was chosen hub of the day. Where to start? That Vincula chapel where the Tower victims were buried, could any place be more conducive to tortured spirits whatever they are?- and let me ask this while thinking about it: was that Tudor looking ghost that opened an out-side door and was caught on cctv still stand as an unknown? Lets see...the sensations people feel near Coverdale is very interesting in what it may suggest. You always put great history with these and the stuff on Cromwell with his head being stuck so long tells just how vindictive lusty King Charles could be lol. The Lady in White story is so sad and has a counterpoint in a story on haunted battlefields i wrote that has a Lady in White. Maybe there are more of them around. Well Seeker, the rest were awesome and intriguing to find out about too and your concluding thoughts concerning residual energy or actual spirits may well be correct. Many thanks for stopping by and glad that you enjoyed the hub. I have to say that I had great fun writing this - it was a really interesting subject and the hardest part was what places to leave out. I might do a second hub sometime. That's interesting about your ghost encounters - I always like to hear first hand accounts from observers/experiencers. hi yankeeintexas - many thanks for stopping by and glad that you enjoyed the hub! It would be great to see you in the UK sometime! Wow, that was a fun read. I'm always fascinated to hear about other people's ghost encounters. I've personally felt...and even heard...ghosts present in my vicinity before, and it can be quite scary but it's always nice to read that other people have also experienced similar phenomena too! Thanks for sharing. Makes me want to visit England even more! Well, written! Hi Miss Kate000 - (I love your nickname!! )- many thanks for stopping by and glad that you enjoyed the hub. I'm like you, I love mysteries and many of the places I've written about, I've yet to visit as well. But I agree, the atmosphere would be awesome! Great Hub! I wish i could visit many of these places, i imagine the feel would be awesome. I love mysteries. Hi CMHypno - always lovely to hear from you and many thanks for the congrats - really appreciated. Glad that you enjoyed the hub! hi buckleupdorothy - love the name!!! Many thanks for stopping by and glad that you enjoyed the hub! I loved this - 'real ghost stories' are absolutely fascinating. Thanks for a great read! Rosemay - as always your wonderful comments always give me something else to think about, in a very nice and interesting way! I think you've hit the nail on the head, similar to connorj, about the history of religion. I'm sure we don't appreciate today just how important beliefs were in times gone by. Many of these people literally lived in eras when they truly believed that God could and would send total destruction to them because of their sins. It goes without saying then that the upheaval in emotions and beliefs during religious changes have led many to continue to haunt after their death. Yes, the 200 bodies! How disrespectful can you get? No matter what crime these poor folks were alleged to have committed, their bodies deserved to be treated with more respect than they received. When you think about Anne Boleyn, who was after all an English Queen, it really is very bad show that her body was treated so badly! Besides all that, I honestly believe that although she was proud and had a temper, I don't think for one minute she was guilty of any of the crimes leveled against her. No wonder the poor woman still roams about! 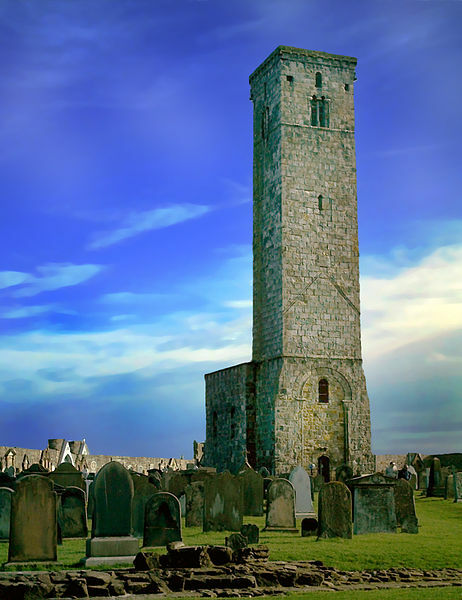 The encounter with the spirit in St.Rule's Tower is very, very rare indeed! You can of course pick up EVP's very easily - this could be residual voices or spirits. But to have a full blown manifestation + intereaction with a witness is exceptional and is what makes this case so fascinating and unique! Spirits in general are only able to either manifest or talk or move objects or form as an orb, but not more than one aspect at a time - although talking seems to be much easier, given that the number of EVP's seems to be far greater than spirits physically forming. Many thanks again for your visit and for the vote up - greatly appreciated as always! Thank you for leaving such lovely comments and I'm glad that you enjoyed the hub! Hi connorj, many thanks for stopping by and glad that you enjoyed the hub! A very interesting comment and you're spot on! The early Christian Fathers, without doubt chose Celtic and/or prehistoric sites for their places of worship. The vast majority of the devotional places were, for hundreds of years, used for Catholic worship really non-stop until the Reformation. The beliefs of our folks from centuries ago was of daily importance to them in such a huge way. So much so that it's maybe difficult for us to comprehend how devastating change in belief systems would have been for them. I think your use of the word 'turmoil' hits the nail on the head. I'm sure many of these spirits did indeed endure not only turmoil of the emotions due to changes but also of the spirit. Hardly surprising that many are still around, perhaps searching for ease of mind? I'm someone who does believe that eventually all spirits do find the peace that they need and I hope that is also the case for the souls who still walk around our churches. Glad that you guys enjoyed the hub and many thanks for taking the time to visit and leave a comment - much appreciated! Hey Gypsy!! As always, lovely to hear from you and I always look forward to reading your insights into the paranormal! That's really interesting about your idea of the spirits looking for something they lack and yes, I think perhaps it is comfort and a reassurance of spirit, that for many, only a church can give? I think that when we go back in time to when these people were alive, their faith was such a huge issue - spiritually, politically, emotionally and so much more. So I don't find it surprising that our houses of prayer are haunted - as you rightly said earlier, it brings comfort!! I'd love to hear about your own haunted churches at some time - they really fascinate me! glad that you enjoyed the hub and thank you for the lovely comments, much appreciated! Hi Lizzy! As always it lovely to hear from you and many thanks for your congratulations! What a wise friend you have - and they've made a good point! I hadn't thought of a place only being paranormal if no ghosts etc are there! I agree with you about having a group to ghost hunt - as you say especially for validation and also to cover more ground, use more equipment and so on. I know very good ghost hunters who work on their own, but they will tell you that it's very hard work with no one there to help - and yes, just a little bit more creepy, depending on the location! Your little spirit sounds so sweet! You'll have to let me know what happened with her - or better still let us all know in a hub!! Many thanks again Lizzy, it's always a pleasure to hear from you! Many thanks J.S. Matthew and Pollyannalana for visiting and taking the time to leave a comment - much appreciated!! Hi JamaGenee, lovely to hear from you and for the interesting comment! I've been to the Tower once, many years ago and certainly didn't see any ghosts or spirits. But, yes, their presence is very strong - in certain areas more than others. I think hauntings do come in cycles with some places. So if we go to a place when the cycle is low, then when we investigate we get nothing. If we visit when the cycle is active it's a lot more easy to see and feel. But I think there are other places such as the Tower, that seem to hold the energy continually. Perhaps this is due not only to its age, but the sheer volume of raw and powerful emotions that were once felt in the place. hi rahul0324 - thank you for your lovely compliment and comment. I'm glad that you enjoyed the hub and it's always great to hear from others who find the paranormal as fascinating as I do! I agree with you about evil actions. I think the energy from evil thoughts and deeds do seep into the atmosphere and create a very scary and thoroughly unpleasant place to be in. Hi jirel, many thanks for stopping by and glad that you enjoyed the hub!! Hi randomcreative - many thanks for the lovely comment and for stopping by - glad that you enjoyed the hub! Frank as always it's pleasure to hear from you and many thanks for stopping by. I agree with you about churches - and not just the old ones - they definitely have a peculiar atmosphere, not unpleasant, just odd. When it's the haunted ones, then this peculiarity seems to increase - very weird indeed! Hi Angela Brummmer - many thanks for your lovely comment and for taking the time to read the hub, glad you enjoyed it! Hey Kitty!!! Lovely to hear from you as usual! Many thanks for the congratulations - that means a lot coming from one of my favourite writers!! Oliver Cromwell - I think the mask looks very like him and he looks so serene, but he's not a person I like that much from history, even although he was supposed to be a great general or whatever. But I think it's sad that his daughters are still haunting the place where his body is. Anne Boleyn - she has to be one of the most fascinating women ever to have lived. I know, because of her temper and silly pride, she did bring trouble on herself, but this lady certainly never deserved what happened to her. I would love to meet her spirit and get her side of the story. I've been to the Tower once - when I was about 19 years old I think. Didn't see any ghosts but the atmosphere, even when crowded is awesome! You can literally smell the age on the stones! And for folks like you and me Kitty, the emotions emanating are powerful and not of course all that pleasant. But when I was there, anytime I felt a strange emotion or someone there, I just said a few kind words and for them to be at peace. It was probably coincidence but the feelings left soon after. On one occasion, I even had the aroma of what smelt like roses? This was in one of the towers and there were no flowers or bouquets around - very odd! LOL!! hi lord de cross - glad that you enjoyed the hub! Hope you are not too spooked now? Many thanks for you visit - greatly appreciated! Hi vespawoolf - many thanks for visiting and thanks for the congratulations - really appreciated! Hi LW - always lovely to hear from you! Thank you for the congratulations - that really means a lot to me coming from one of my favourite writers! I agree with you about the paranormal. The more you delve into it the more questions are raised and the more mysterious it gets and that makes it fascinating. Many thanks once again LW! Hi Cyndi10, many thanks for the congratulations, really appreciated and glad that you enjoyed the hub! I was really quite shocked when I received the e-mail from Hub Pages saying my article was Hub of the Day! But after the shock, a very pleasant surprise! Hi Sunshine - many thanks for the congratulations! It was totally unexpected and after the shock, a lovely surprise!! Churches and abbeys being some of the oldest building in the UK it is hardly surprising that they have their ghostly visitors, especially thinking about the history of religeon. Incredible that 200 bodies were found under the chapel floor. Yay for Victoria giving them a decent burial. It was a very brave man who squeezed past the figure on the staairs, but then he didn't realise did he. Strange how the spirit actually spoke to him, are there many cases of them speaking. Oh, my...who doesn't like a good tale of a haunting? And, you have presented us with tales worth retelling. It is enchanting to me to hear the story behind the story...it makes the haunted seem so much more real. Great hub....voted up and interesting. Congrats on hub of the day, too. Excellent writing! I really enjoyed the pictures and the stories behind them. Great job! Spoooooky! I'd run, too, if I saw some of these things! Very interesting pieces of history! A combination of history and paranormal, I love stories like this awarded hub of yours, Seeker7. Many creepy photos there too. Congratulations! Voted up and interesting. Yes indeed why should a church be haunted but perhaps the spirits are seeking something they themselves lack. Perhaps comfort. Anyway this was a terrific spooky hub. Loved the pictures. We have some haunted churches here too. Passing this on. I love haunted places! My sisters house is haunted, it's fun! I'm glad to say none of the churches I've attended have sported ghosts (that I know of anyway). So much cold stone and massiveness to all of those haunted spaces. They look eerie, spooky and rather unfriendly. Great hub! Beautiful Hub and fabulous photos. Voted up, and congrats! Hi Seeker7, very interesting and fascinating hub about paranormal spirits wondering around in churches in Britain,well done ! Really enjoyed reading this hub ! Vote up and more !!! Congrats on hub of the day ! This was indeed fascinating. Congrats on HOTD--it was well-deserved. A great read and fantastic pictures! Wow! This is really well researched and very well written! 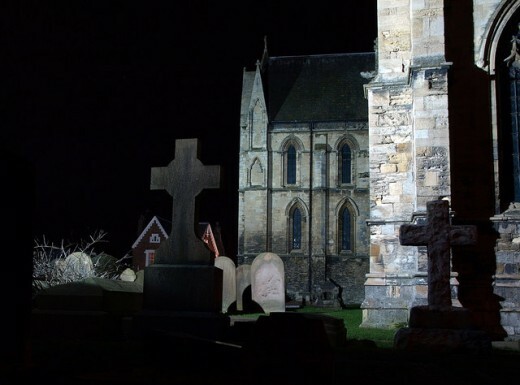 I never knew that churches could be haunted, especially this many! If I ever get to visit Europe these places are on my to see list! Congrats on the Hub of the Day! Well deserved. Up and shared. I was rather disappointed that I personally never saw any of the famous apparitions reported to haunt the Tower of London when visiting it, not even in Peter ad Vincula. Nor did I see any in of the other churches in London and various villages I visited during my trip. At the ToL, however, I did have a strong impression one (or more) were lurking about. Spirits who for whatever reason chose to remain unseen, but I was sensing their presence anyway! Greet hub enjoyed your spooky stories of the churches. Congrats on hub of the day. Enjoyed reading this hub and I bet you enjoyed writing it! 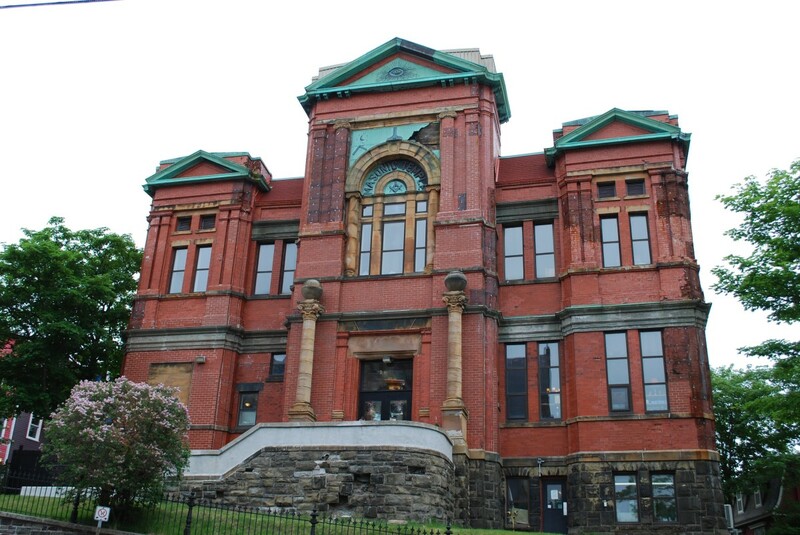 Fascinating histories of some great old buildings. I enjoyed reading and watching spookiest haunted Church pictures. Thanks for the share. Voted up! Interesting and spooky story. Thanks for posting it. Voted up! Haunting indeed! The realms of such existences and happenings are far from being understood and explained! I personally believe places where a lot of evil has taken place and is buried in some form or the other becomes a doorway to bring more evil upon the place. the place is doomed eternally. I have a lot of interest in the paranormal and technically speaking this hub is brilliantly written for people like me! This is so interesting and scary.Loved reading it.Voted up! Awesome topic for a hub! There is so much great history here. Very well deserved Hub of the Day! Congrats. What a wonderful hub topic. I had no idea that churches could be haunted. The media shows churches to be a safe place to hid from spirits. Simply beautiful hub! Voted up! Congrats on Hub of the day... your my idol! Seeker7 - You've done it again...and this time, you made headlines as the top hub of the day! Congrats. 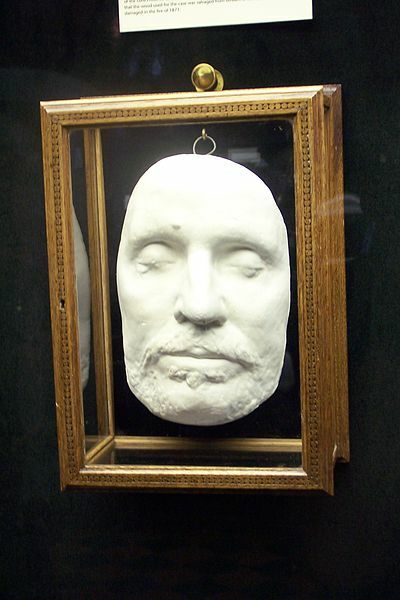 The Death Mask of Oliver Cromwell is beautiful yet incredibly creepy at the same time. I enjoyed reading this haunted hub, just like the rest of them. I really want to visit the Tower of London one day...if only to feel the presence of Anne Boleyn! Shaky territory for us. Looking behind me, just in case! Spooky times that won't come back. Let me put my lights on! I don't feel too confortable reading you in a dark room. Ops! I heard a cat outside. Great HUB! Fascinating...congrats on Hub of the Day! Seeker7, awesome job and congrats on your award! This is a well deserving article my friend. Great info on this article. Britain has a lot of history. With so much history and violence, it is no wonder that these places are haunted. The paranormal is so interesting to me. Each one is unique and takes on its own personality. Another awesome article on ghost. Hi albela rahi, thank you for the lovely comment and for stopping by - I'm glad that you enjoyed this hub. It was great fun writing it!! Hi to you myownwife - many thanks for stopping by and glad that you enjoyed the hub! Hi dmop, many thanks for stopping by and glad that you enjoyed the hub! I have to say that I had a lot of fun writing this one - the history of these old churches in particular was fascinating! Thanks to for your vote up - greatly appreciated!! Hi Mhatter99 - many thanks for stopping by and thanks for taking the time to leave such an interesting comment. Hi Heathermichelle12, many thanks for stopping by and glad that you enjoyed the hub! Great idea to work on some of your old projects. I've done this as well at times and it's amazing how much more we can put in to them that is fresh and interesting! Hi teacherjoe52 - many thanks for stopping by. Yes they definitely do! It seems like the older the cemetery the more bikers like them. I think quite a few probably tell good ghost stories around their campfire at night! Hi Writer20 - glad that you enjoyed the hub and many thanks for the vote up - greatly appreciated! Hi Sunshine625 - many thanks for stopping by and glad that you enjoyed the hub. I have to admit that for me personally, spooky churches are much more scary than any old house or castle!!! I'm not really scared of ghosts etc., but going into a haunted church? Well let's just say I'd prefer a friend or two along for the company! Hi Attikos, your right, most of the Christian churches are pre-dated by not ony Celtic places of worship, but many go way back to the stone age. These sites were very sacred and even when the Romans invaded Britain, rather than destroy these pre-historic places they actually built their shrines on or near them to give them the honour they deserved. The Celts of course nearly always used and cared for any old sites from pre-history and these were very sacred and viewed as the resting places of, not only their gods, but their ancestors. Congrats on Hub of the Day. I love to read about paranormal activity. Great article with interesting pictures to go along. Well researched and written. Hi Kathy - glad that you enjoyed the hub and many thanks for the vote up! I love the use of the word 'peculiar' - that fits so well, not just with our haunted churches, but anywhere paranormal activity is found! I to thought a lot of what is going on with our beautiful churches and why so many of our departed folks are drawn to them - I think in many cases it has to be the comfort or perhaps safety aspect they find within these places of worship? Congrats on your Hub Of The Day Seeker!!! WOW!! thanks for writing this hub!! i didn't know all this before!! Fantastic ghost stories, and the places just add to the allure. Great writing and congrats on the award. Voted up, useful, awesome, and interesting. This article is awesome!!!! Great subject matter and pics. This really inspires me to work on some of my old projects. Great job. I remember in the seventies people used to camp in church cemetaries when bicyke touring. Scary Britian and Scotland you did a great job writing this hub.